The former First daughters have always been on best behaviour. Even when they were not on their best, they were always better than most teenagers their age. They obviously had a strict code of discipline while growing up, directed by their parents Barack and Michelle Obama. They spent around eight years at the White House and yet gave their critics and naysayers no chance to slam them or criticise them. They have perhaps been the most well-behaved children America has ever seen. But there have been time when the First Daughters have been wild and behaved like normal teenagers. Have a look. 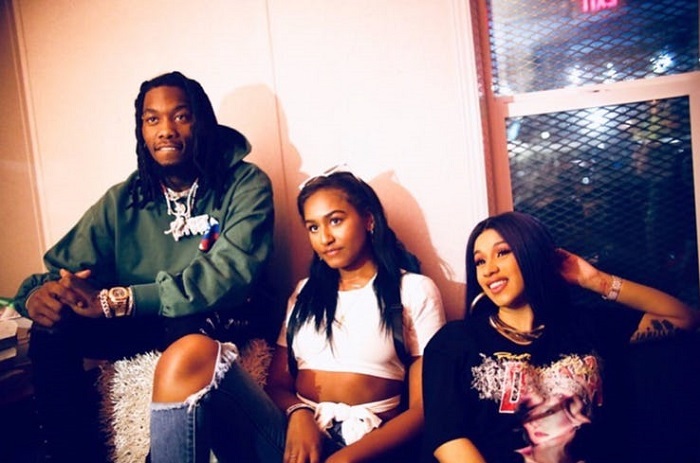 Cardi B and her fiance Offset may be pop culture icons and huge stars but we bet the Obamas wouldn’t approve of their youngest daughter hanging out with them, especially if they have ever heard any song by Cardi or Offset. We can’t imagine what Barack Obama said when he saw the picture of Sasha Obama hanging out with the two rappers. 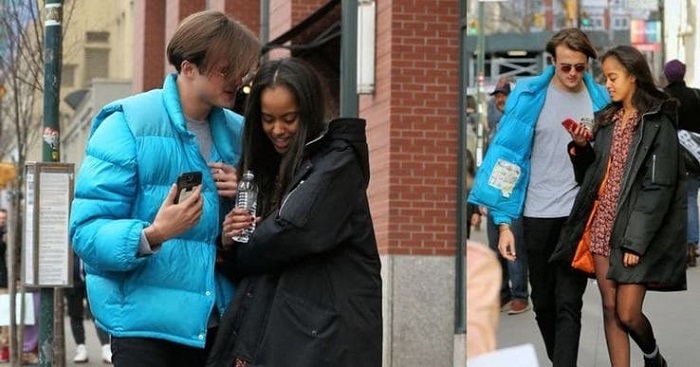 We never knew about Malia Obama’s love life but now that she is grown up and studying at Harvard, she often gets PDA-friendly with her British boyfriend Rory Farquharson during their errands. And this behaviour is very unlike the Malia we’ve seen up till now. The Obamas banned social media strictly and also had strict codes about using phones. 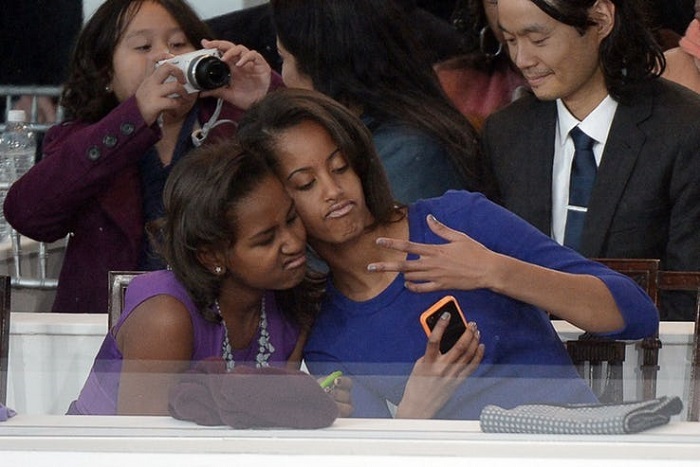 But during one of Obama’s inaugurations Sasha and Malia made funny faces at the camera. Now, normal children could click all the selfies they want, but the rules are of course different for the First children of the nation. 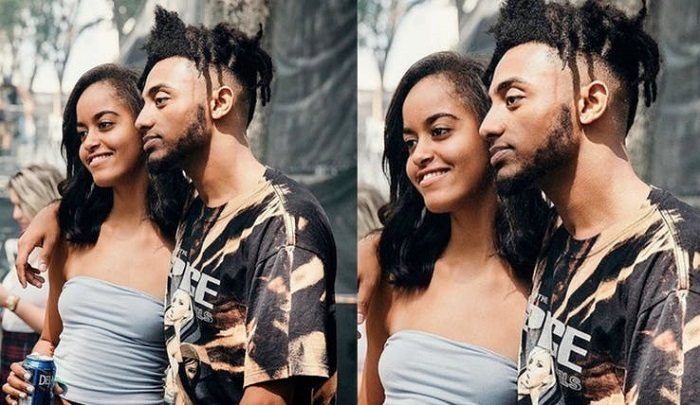 Malia went to a famous music festival and hung out with the rapper Amine. She has also professed her love for rappers like Joey Bada$$ and Chance The Rapper. 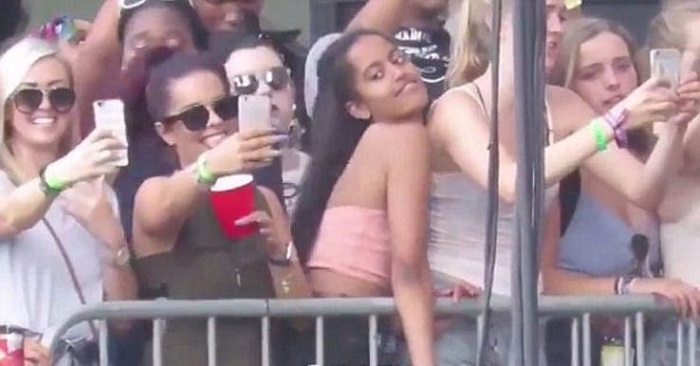 And while normal teenagers can have all the fun at music festivals, Malia’s antics were criticised. 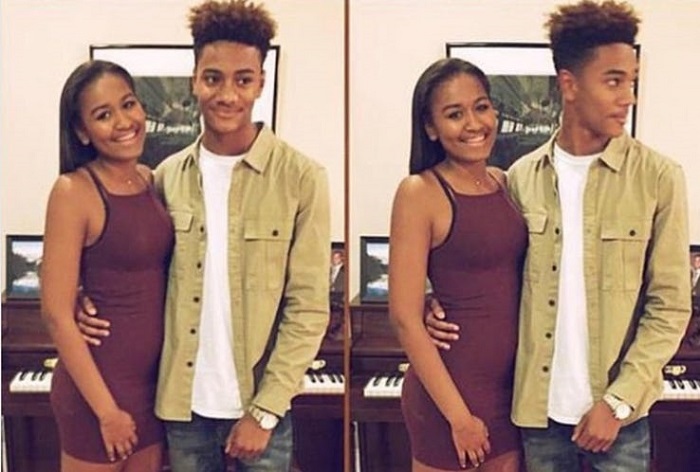 When photos of young Sasha with her prom date went viral, people were quite surprised that Obama was letting his daughter go to this public event with her boyfriend, especially considering their no-boyfriend policy. 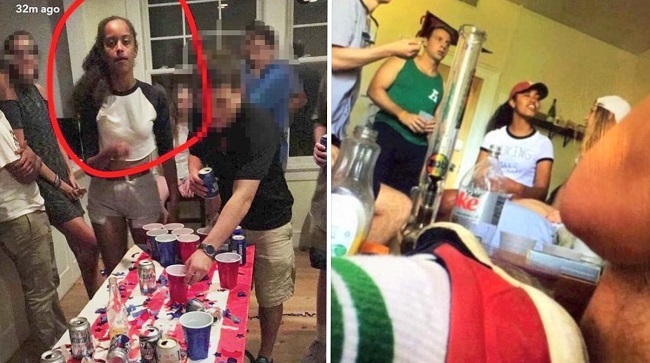 Remember when pictures of Malia Obama partying hard surfaced online, and people were quick to judge the Obamas? It was obviously unfair as she is just a teenager and was entitled to some fun. 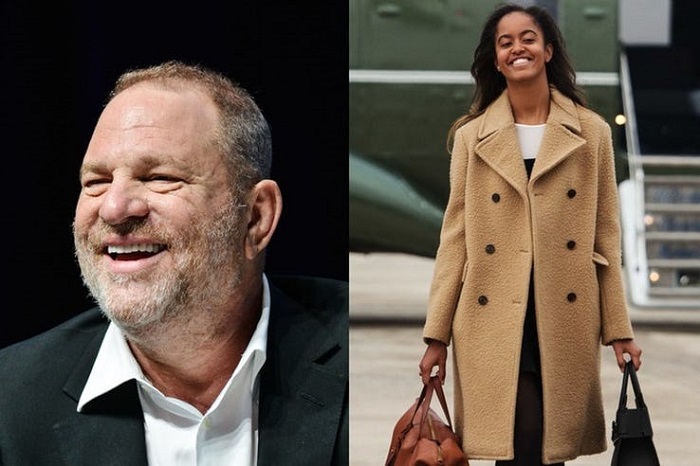 Malia had done a brief internship with Harvey Weinstein’s company and after the sordid details of the disgraced movie producer’s misconduct were revealed, people were nervous about Malia’s time in his company too. Though the Obamas have been tight-lipped about it. 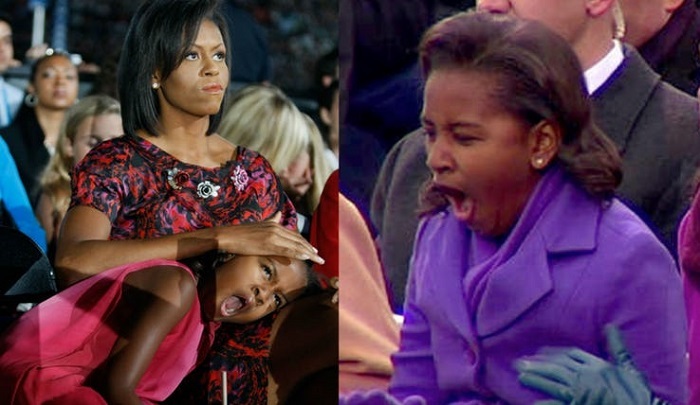 Even young Sasha couldn’t escape haters when she was spotted yawning at some public events. She was just a kid and nobody should be that harsh with children. But Sasha’s pictures were all over the Internet. Pictures of Sasha in a bikini on her vacation made news a few years ago. Though she was protected by the Secret Service, we bet the Obamas would really like the kids to have more privacy. Especially since the security was there. Malia and Sasha Obama have always been pretty conservative about their wardrobes. In fact you’d seldom find a picture of the Obama siblings, inappropriately dressed. But as Malia grew up, she was spotted wearing some risky clothes which could not have got approval from the White House or the President. This picture, for instance, has her wearing a denim top and some sneakers. It’s just a simple denim dress but it looks too short. The truth is Malia is very tall like her parents which is why the dress looks shorter than what it is supposed to be. But of course the dress didn’t escape media attention and Obama naysayers took a shot at this too. Getting a little too wild? Dancing at a festival or a party is pretty regular for other kids, but when Malia was pictured dancing at the Lollapalooza, and just having some fun with her friends, her critics shaded her. But that was quite ridiculous as she might be First Daughter but she is entitled to a life outside of media scrutiny. 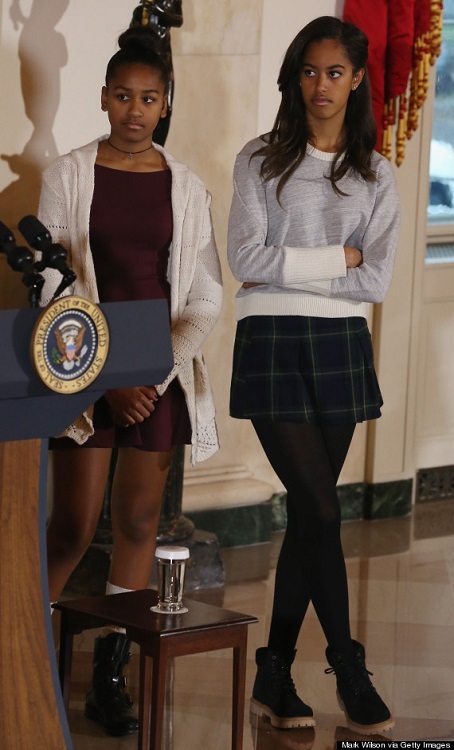 Remember when the Obama girls were called class-less for wearing skirts that were too short? For turkey-pardoning, Malia and Sasha both wore skirts and were shaded by a senior Republican official, who had said that they needed to respect a white house event and show some class. To be honest, Malia has been criticised for the most ridiculous reasons. Remember when she was slammed by the fashion police for wearing a mini dress in the freezing cold? Malia and Sasha’s clothes were sometimes criticised for being too expensive. Especially their state dinner wardrobes had come under relentless scrutiny as the haters demanded to know how much they cost.